Known as ‘the Davos for women’, the Global Summit is the premier business and economic for women globally, and this year it attracted 1,250 leaders from 65 countries. 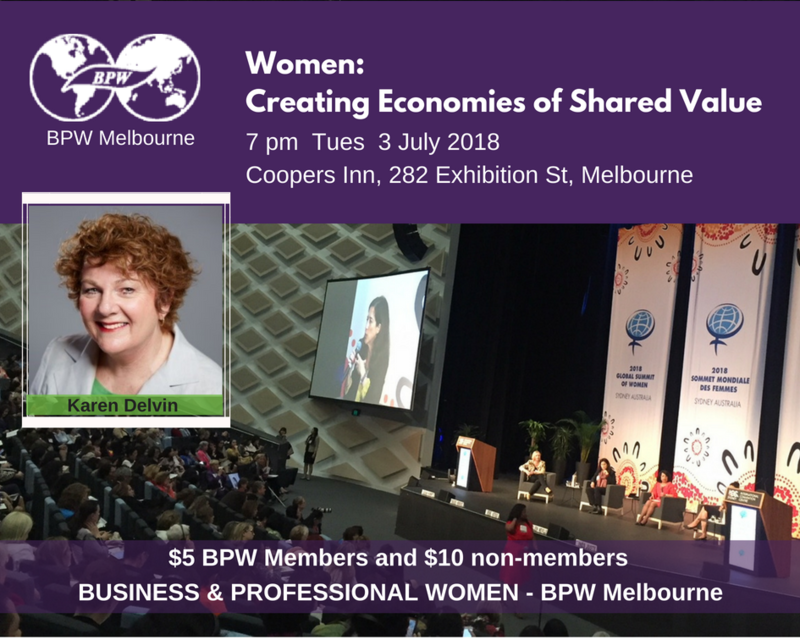 Melbourne BPW Club member Karen Delvin was there in Sydney– she’s also been to previous Summits in Paris, Kuala Lumpur and Athens – and would like to share her experiences over dinner with you. Food and drinks at bar prices.